I have a confession. I love to wrap! As a kid, I’d spend hours locked in my room curling ribbon, crafting bows and making sure my paper was perfectly folded and taped. I was wild! While there may have only been Dollar store gifts inside, the wrapping made it look like it came straight from Bloomingdale’s! 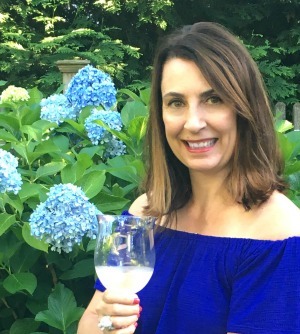 So whether you’re wrapping a simple homemade gift like my Music Lyric Plate or something from their favorite store, add a DIY spin to your packages to make them pop. 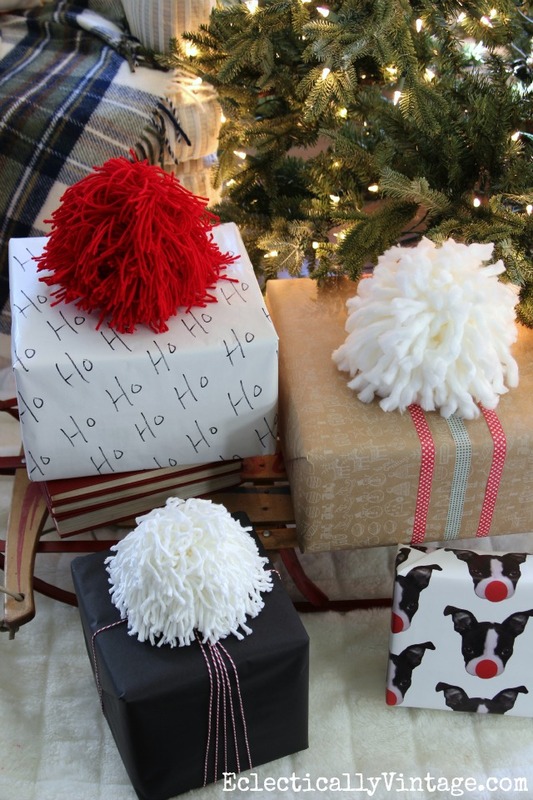 Pom Pom Gift Toppers – my favorite way to add wow to a gift and they are so fun to make! 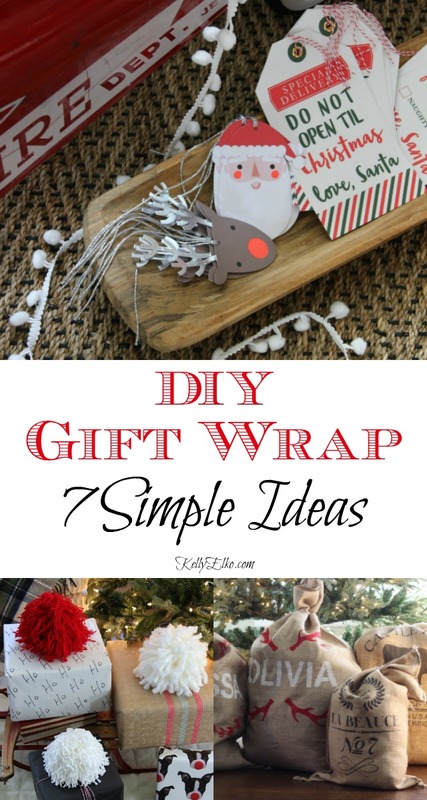 Personalized Gift Wrap – use a Sharpie to add your favorite words (Ho Ho Ho), names, sayings or doodles to plain paper and cute gift tags from HomeGoods for a one of a kind wrap. 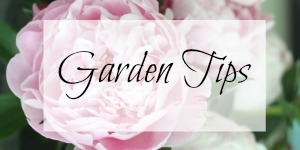 Washi Tape – when in doubt, add washi tape to jazz up plain paper. 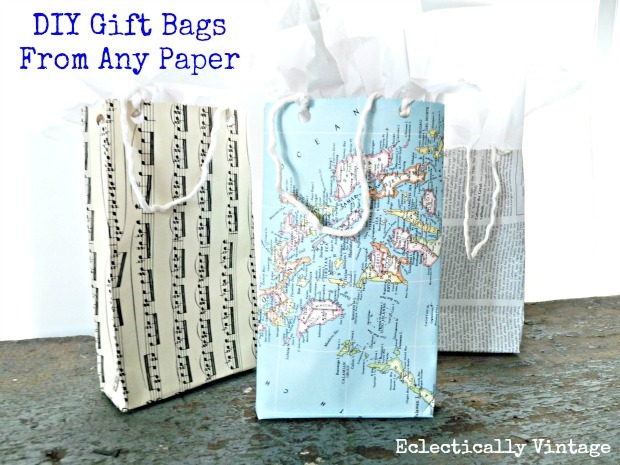 DIY Gift Bags – turn old maps, music sheets or book pages into the coolest bags. 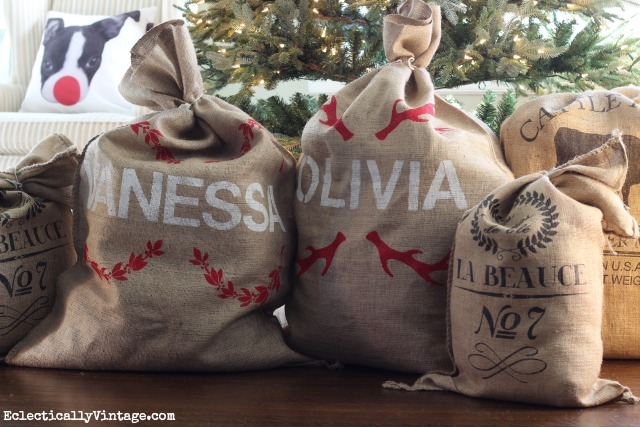 Personalized Santa Sacks – turn plain grain sacks into the perfect place to hide those large, hard to wrap gifts. I love that these can be used year after year. 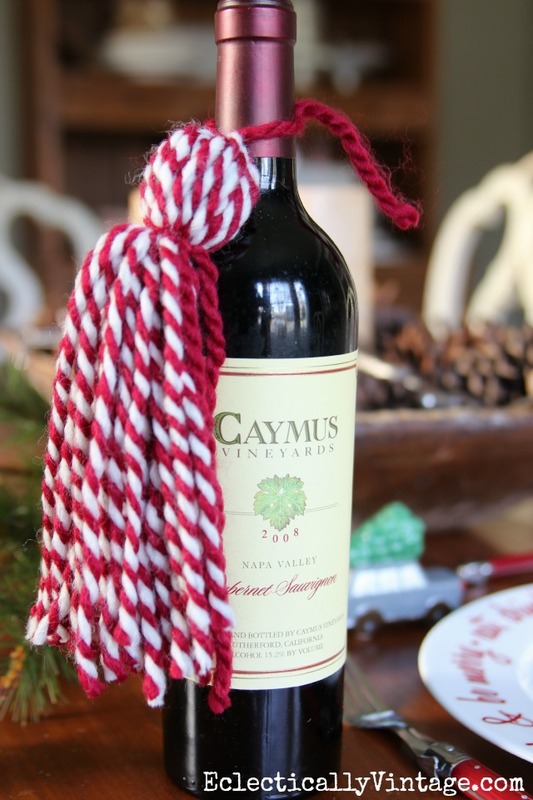 Yarn Tassels – When in doubt, add a giant tassel and you won’t even need to wrap it. Jar Gift Holders – I used this idea for Easter but you can adapt it for any occasion. Here’s to making the outside of the gift just as fabulous as what’s inside. I love to wrap, also. Enjoyed seeing the ones you have and got some more ideas from you. Isn’t it fun? Have a wonderful MERRY CHRISTMAS! From one wrapper to another, have a very Merry Christmas Lynda!